The Caramel Tree Readers Level 5 is a delicious series of leveled readers for children ages 7 to 9. With approximately 4,000 words each, the stories provide students the opportunity to expand their reading skills by witnessing character development and more complex plots. 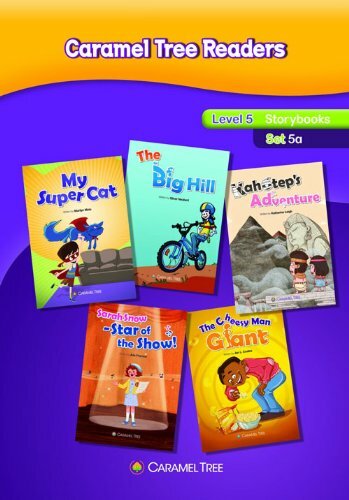 Set 5a contains five storybooks: My Super Cat; The Big Hill; Kahotep’s Adventure; Sarah Snow – Star of the Show! ; and The Cheesy Man Giant. F. I. Laher is a senior editor at Caramel Tree Readers and academic director at JLS Academy. He lives in Vancouver.